The Launch Pad: Evadot Podcast: Rocket City Space Pioneers Chat with the "X-Treme Team"
Evadot Podcast: Rocket City Space Pioneers Chat with the "X-Treme Team"
One of our favorite aspects of the MoonBots contest is seeing students interact with real Google Lunar X PRIZE teams. Our friends at Evadot recently captured a conversation between MoonBots X-Treme Team and the Rocket City Space Pioneers last week in a podcast, and it is definitely worth listening to: check it out here! 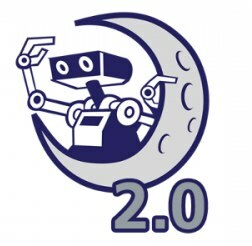 Much like the GLXP teams, the MoonBots teams are required to build a robot to meet certain "lunar" objectives such as finding water or surviving a lunar night. They design their robot in CAD, post YouTube videos about their progress, and program a robot to move autonomously on the Lego lunar surface while broadcasting live to the judges. The MoonBots teams and the GLXP teams can definitely learn a lot from one another; Google Lunar X PRIZE teams inspire students to continue learning about robotics, and the creativity and enthusiasm of the students for the contest and exploring the Moon is absolutely contagious. Enjoy the podcast, and if you are a MoonBots team looking for a GLXP team to mentor you, please leave us a note in the comments below. A number of the GLXP teams are very excited to work with MoonBots teams this summer! Also, registration is still open for MoonBots. Form a team and sign up by June 26 to get involved -- just visit www.moonbots.org for more information.